Reading to recover: Floored by Sara Barnard et al. Floored by Sara Barnard et al. When they got in the lift, they were strangers (though didn't that guy used to be on TV? ): Sasha, who is desperately trying to deliver a parcel; Hugo, who knows he's the best-looking guy in the lift and is eyeing up Velvet, who knows what that look means when you hear her name and it doesn't match the way she looks, or the way she talks; Dawson, who was on TV, but isn't as good-looking as he was a few years ago and is desperately hoping no one recognizes him; Kaitlyn, who's losing her sight but won't admit it, and who used to have a poster of Dawson on her bedroom wall, and Joe, who shouldn't be here at all, but who wants to be here the most. And one more person, who will bring them together again on the same day every year. I had been waiting expectantly for Floored since the beginning of 2017, what could be better than a load of my favourite YA authors, as well as some I'd not yet had chance to read, all coming together in one book?! Let me tell you I was not disappointed! Floored is a fresh take on a young adult contemporary with a lot of very real characters and I really enjoyed it! 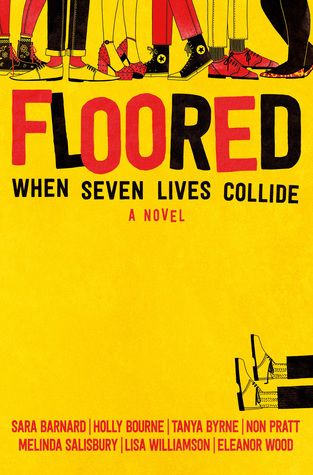 The premise of Floored is an interesting one, six main characters plus a narrator, each written by a different author, split into sections each of which is a year apart. So all in all the book covers a period of six years. Although the span of ages and characters is somewhat to the detriment of how well you get to know each character, I think it is super interesting and works pretty well. I loved that you get to see them not just at a young age but also slightly older - I'm always moaning that there aren't enough books with characters aged 18-21 so it was nice to read that! Furthermore, the spread over the years allows you to see the growth of the characters, their different stages of maturation and the changes in their relationships not just with each other but with their wider friends and family. Admittedly, I would have loved more content and background on each character because they were all so gritty and real and I wanted to get to know them better! But given the nature of the book and the whole point of it, I feel that the level of detail given was the best it could have been. I think any more specifics to each character would have taken away from the over all themes of the developing friendships between the six characters as well as making it super duper long. I loved the mixture of characters in Floored and learning about their different experiences. 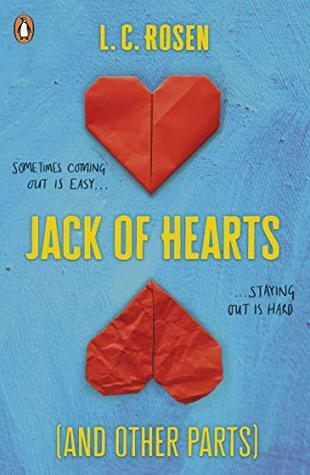 I am big fan of the rep of a bi male character because they aren't often written about and the assistance dog 😎I really liked that we didn't specifically have 'bad' or 'good' characters, they were just very real people - I found myself mad at different people in different years and I think that's just kind of how it is when you're growing up! Overall, Floored is a different take on YA contemporary which I really enjoyed. I was struggling with my concentration when I read this so the varying characters, styles and the inclusion of group chat messages really helped to keep me interested! If you're looking for something a bit different but still real and good fun I'd definitely reccommend it! Have you read Floored? What did you think? Let me know in a comment.